Be good to yourself and take the pain out of crawling on the floor to baste you quilt sandwich. This service is ideal for quilters, especially hand quilters, who enjoy the process of completing their own quilts, but need a helping hand to get the sandwich together. 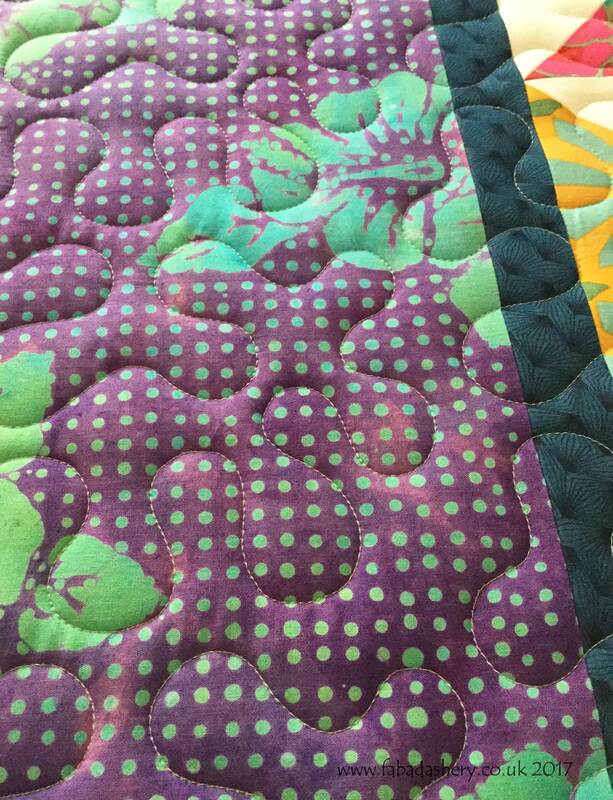 This service will use the APQS Longarm Quilting Machine to keep the layers flat in order to baste the quilt top, the wadding and the backing together, stitching in a meander every 3”-4” to hold the quilt sandwich securely. The quilt will be returned to you and once you have completed the quilt using your own hand or machine quilting, these stitches are intended to be removed. You will need to provide your prepared quilt top, wadding and the backing. This is our most popular service offering a choice of all over decorative quilting patterns (pantographs) - floral, animals, novelty, swirls, geometric, the choice is growing all the time! Visit our Pinterest page to see our catalogue of patterns. During your consultation we can work together to choose a design and thread colour which will most appropriately complement your quilt top. 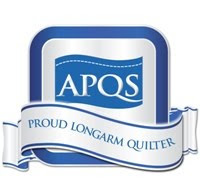 Once chosen, the stitch regulated APQS Longarm Quilting Machine will be used to stitch the pantograph evenly all over the quilt from top to bottom. Once completed, the quilt will be returned to you. In order to complete the quilt you will need to trim the raw edges and attached a binding. You will need to provide your prepared quilt top, wadding and the backing. Good news! There is no need to baste your quilt sandwich together, the price includes loading the quilt onto the APQS Longarm Quilting Machine and the quilting thread. With the Edge to Edge quilting service there are fewer design decisions to be made which often allows for a quicker turnaround. The size of your quilt and complexity of the pattern will directly impact how long it will take. Get in touch and I will discuss what slots I have available - I can sometimes return the quilt to you within a week! For this service you will benefit from the full Edge to Edge service with the additional benefit of having the binding attached to the front of the quilt by machine. 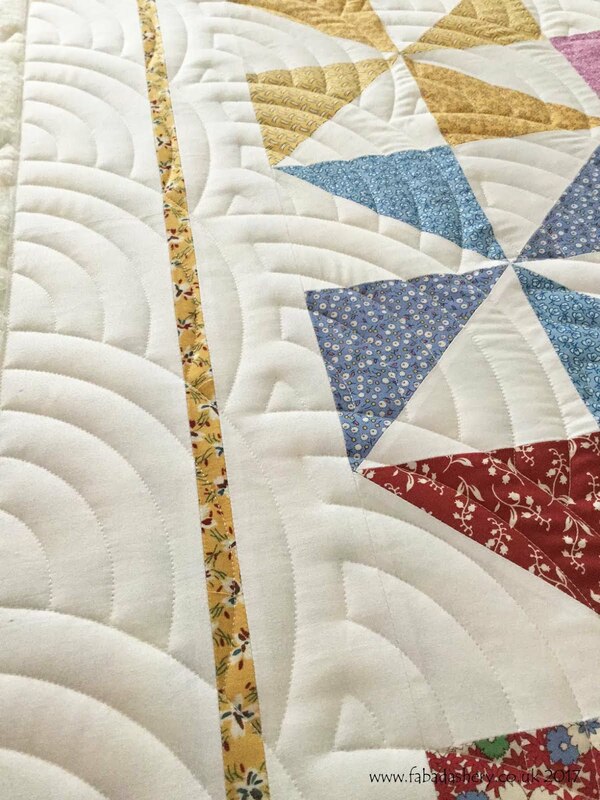 The quilt will be returned to you and in order to complete the quilt you will need to fold over the attached binding and you can choose to finish by hand or on your domestic sewing machine. You will need to provide your prepared quilt top, wadding, the backing and the prepared binding. Good news! There is no need to baste your quilt sandwich together, the price includes loading the quilt onto the APQS Longarm Quilting Machine and the quilting thread. For this service your quilt will be returned to you fully quilted, trimmed, with the binding attached by machine and finished by hand. For this service you will benefit from the full Edge to Edge service with the additional benefit of having the binding fully attached with mitred corners, and receiving a quilt that is complete and ready go! 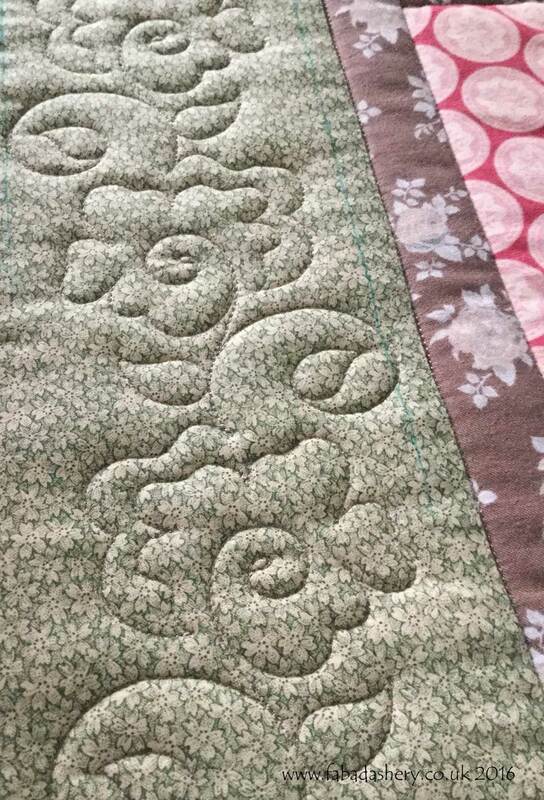 Often, an overall edge to edge quilting pattern is not the most appropriate design solution for a quilt. If this is the case, we can discuss this on the phone and during the consultation. 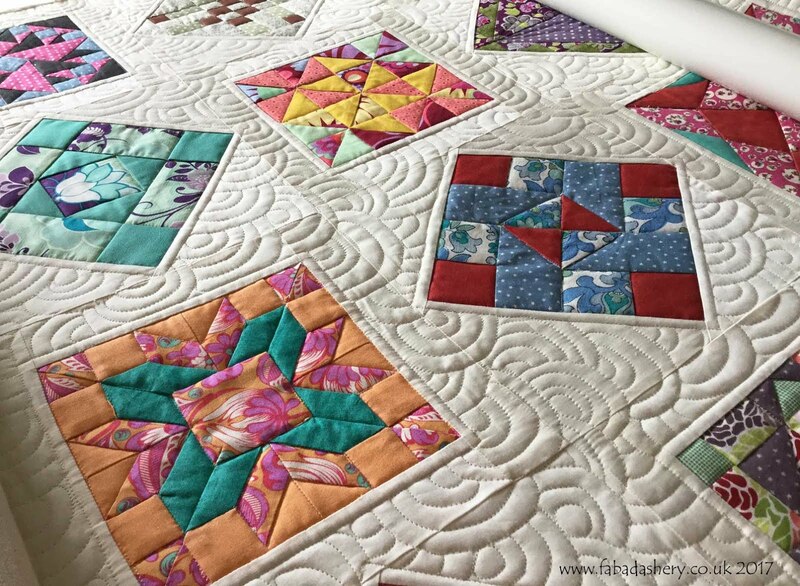 ‘Stitching in the Ditch’, free motion quilting, stitching around applique and a combination of individual quilt block patterns and border designs are available at an additional cost, but are often worth it to enhance your piecing. With custom quilting there are a lot of design decisions to be made before the quilt even gets onto the machine and the actually quilting could be a combination of free motions quilting, 'stitch in the ditch', all of which is hand guided and more time consuming than digitally guided quilting. 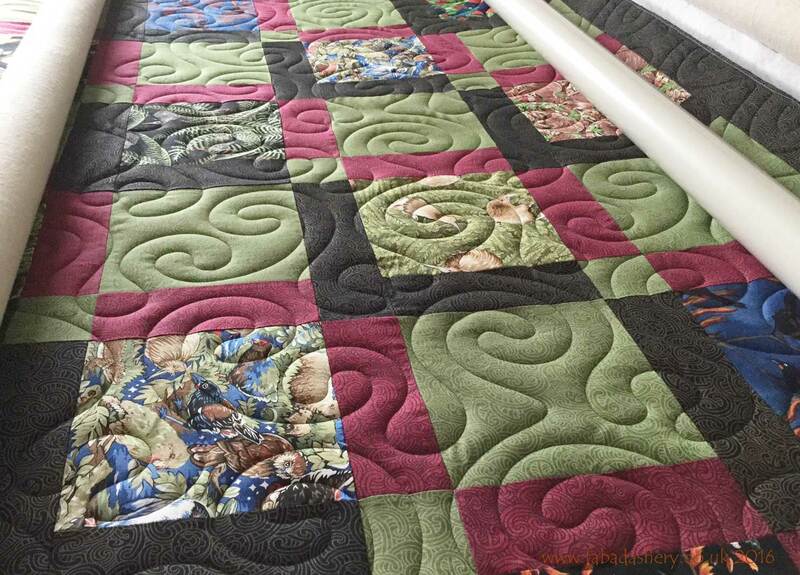 With the combination of planning a design and hand guiding the quilting, custom quilting naturally takes more time. The size of your quilt and complexity of the pattern will directly impact how long it will take. 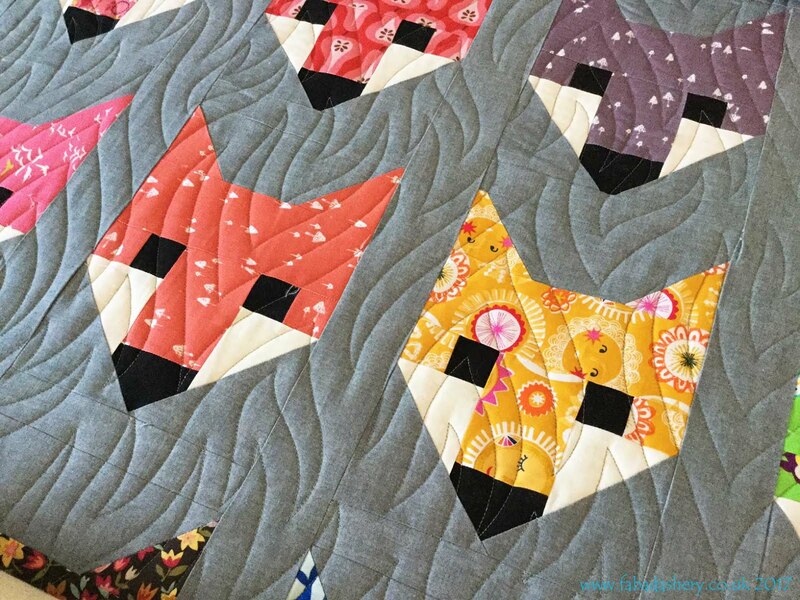 If you are able to email a photograph of your quilt beforehand, it is really helpful as I will be able to suggest a few ideas when you deliver the quilt. Please browse the main page to see quilts I have done for other customers. Get in touch and I will discuss what slots I have available. 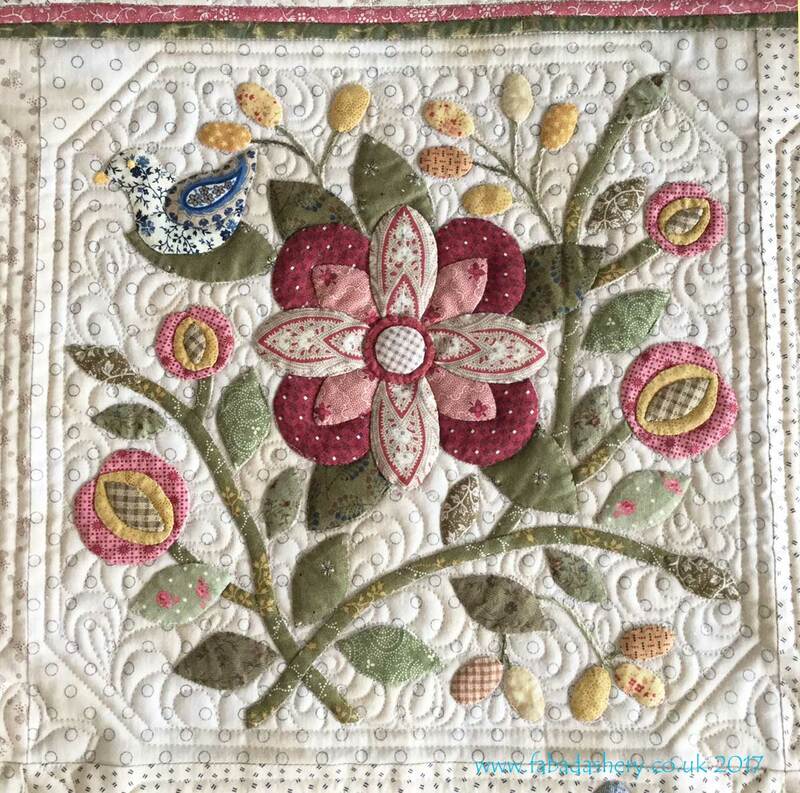 When you contact me we can arrange an appointment where you can browse my catalogue of quilting designs, choose your thread, and decide what level of service you require. 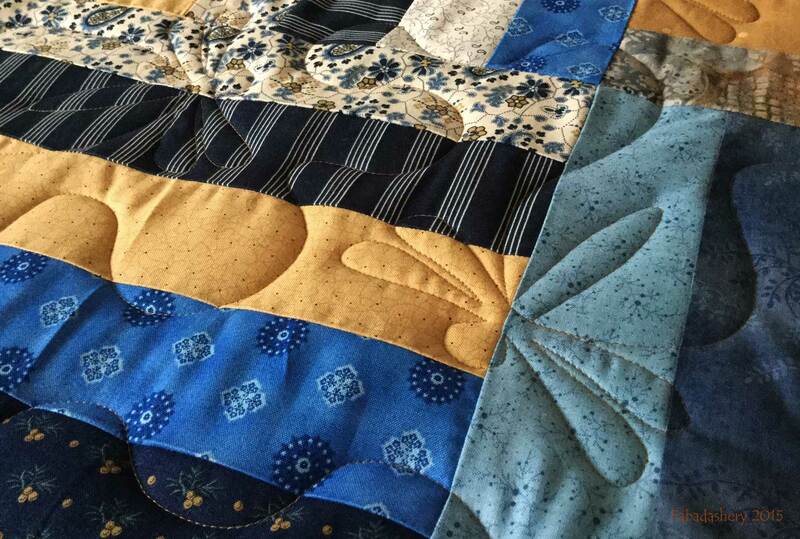 If you are able to email a photograph of your quilt beforehand, it is really helpful. During the consultation your choices will be recorded, contact details will be taken, and the quilt will be checked. Once it is handed over we will discuss a completion date and you will be given a receipt. Please read the Quilt and Binding preparation pages before you come. Checking that you have prepared your quilt top, that your wadding and backing are large enough beforehand, will ensure that you keep to your budget . I can offer a range of extra services such as joining a backing, making binding or unpicking an already basted quilt. They will be charged as an additional cost to you.